Celebrity Big Brother spoilers show Tamar Braxton could end up using her Head of Household reign to target Olympian Lolo Jones. Kato Kaelin and Tom Green sit on the block right now. But anything could change after tonight’s live Power of Veto competition and live eviction. Tamar’s Power of the Publicist may not be needed any more, now that she’s this week’s Celebrity Big Brother HoH. But that hasn’t stopped her from majorly shaking up the game. It started during the last eviction. Tamar Braxton was able to convince Natalie Eva Marie and Lolo Jones to both vote out Joey Lawrence, when they had wanted to eliminate Kandi Burruss. After the eviction, Tamar Braxton went on to win the Head of Household competition narrowly against Kato. This was the first time since the very first eviction that someone other than Kato or Tom had control. As HoH, the singer recognized that Tom Green and Kato posed a threat and nominated them for Celebrity Big Brother eviction. However, could that change during tonight’s live show? For the last several days, Kandi, Dina Lohan, and Tamar Braxton have been working together. 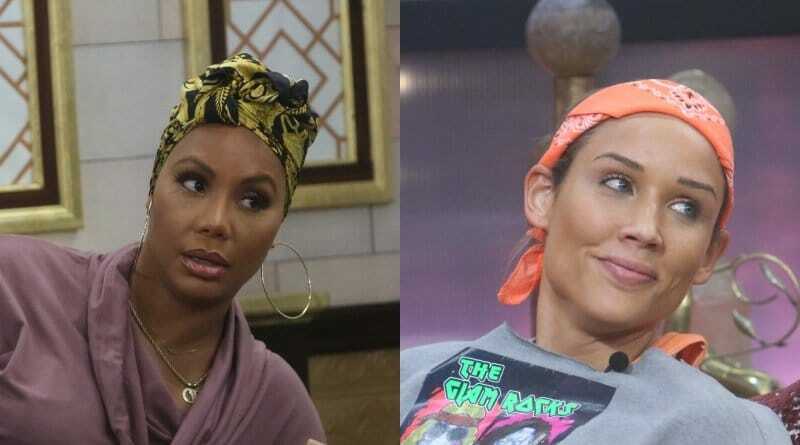 On the Celebrity Big Brother live feeds, we’ve learned that the group has been discussing targeting Natalie and Lolo Jones. The women have discussed the way that Natalie and Lolo went against Tom during Joey’s eviction. Tamar found this to be particularly threatening because Lolo and Natalie were working with Tom Green at the time. 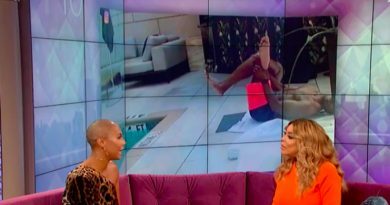 After this, Tamar Braxton told Dina and Kandi that she might backdoor Lolo Jones during the Celebrity Big Brother live show. Kandi encouraged her in this, telling her that if Lolo was evicted, Natalie would have no choice but to work with the other women. The ladies continued to discuss this, but in the end, made no final decision. Tamar wins a power that turns the house upside down & does an Emmy award winning performance to throw people off. 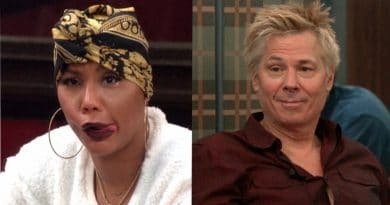 Even though Tamar Braxton came into her Head of Household week thinking she would target Tom Green or Kato Kaelin, the old Celebrity Big Brother saying is true–houseguests should “Expect the Unexpected”! Tamar has not done anything yet, since the Power of Veto comp has not yet happened. This means that Monday night, almost anything could happen. Tonight’s episode should begin with the Head of Household comp. After we see Tamar Braxton winning, we’ll see her nominate Tom and Kato for eviction. Then, host Julie Chen Moonves will introduce the live POV competition. Based on these spoilers, if Tom or Kato take themselves off the block, Tamar may nominate Lolo Jones for eviction. With the Celebrity Big Brother house divided right now, it’s anyone’s guess as to who would go home. No matter what happens, you’ll want to stay tuned to Soap Dirt for all the latest spoilers and news.